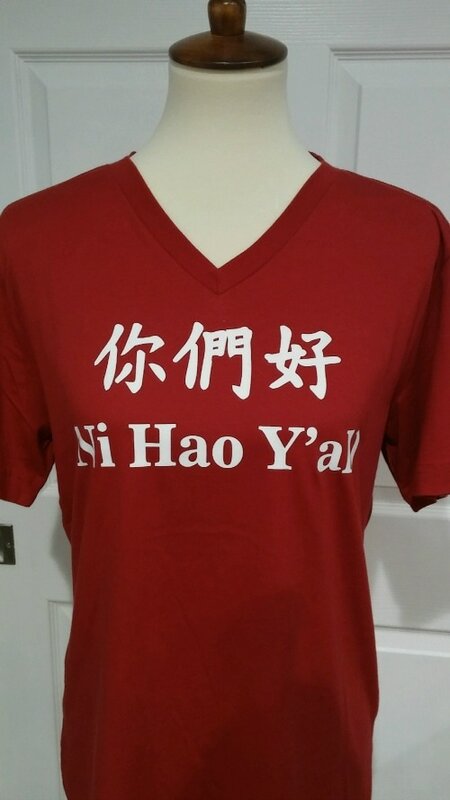 "Ni Hao Ya'll" T-Shirts Now On Sale! 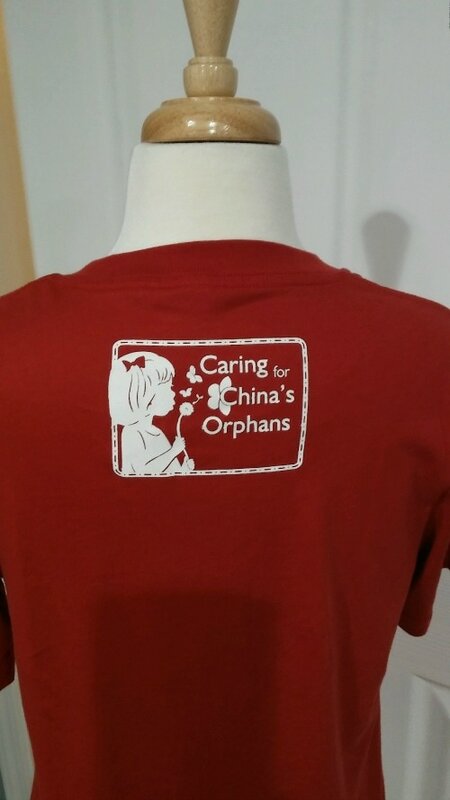 Shop for a cause today! This t-shirt is not your standard promo tee! Made of a high-quality cotton and available in both V-NECK and CREW, this shirt is soft and made to go the distance. 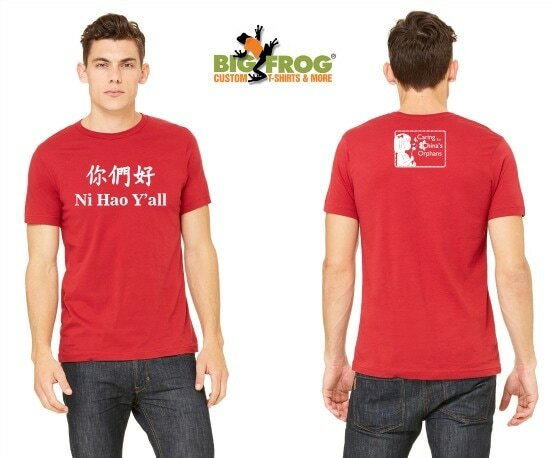 The 2017 CFCO travel group and a handful of volunteers have been stylin' this shirt from Nashville to China and folks cannot get enough of it! 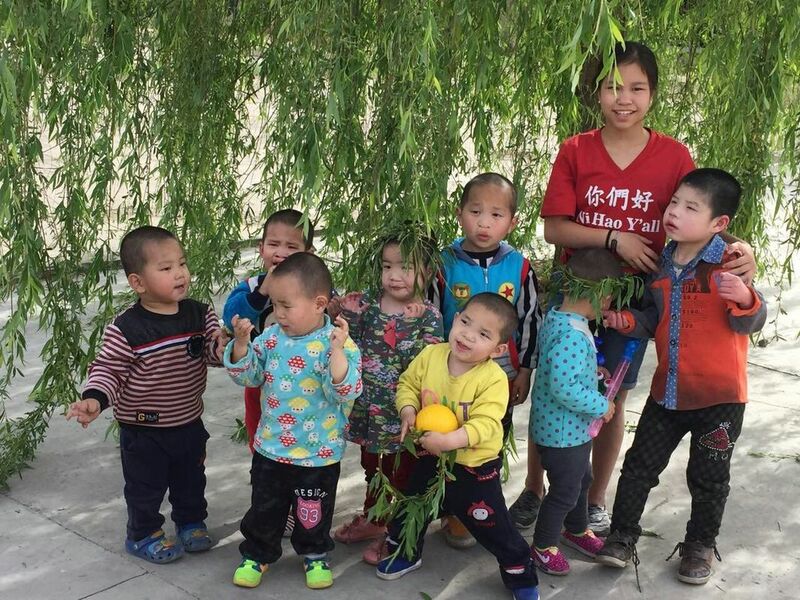 Thank you for spreading the LOVE. The t-shirts will be available for pick-up on July 24 at our Panera Fundraising Night on White Bridge Road in Nashville. T-shirts needing to be shipped will leave our office on 7/26/17 via First Class Mail. 1. Please choose your color and size below. 2. If you would like more than one, you can choose your quantity or go back to the purchase page from the Pay Pal cart. 3. Each shirt shipped is charged a $5.00 flat-rate shipping fee. If you are ordering 4 or more, please call Jeannie at (615)668-8159 for rates. 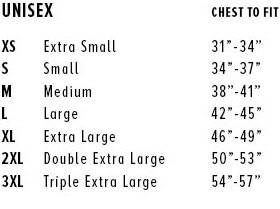 To the right is the sizing chart from our t-shirt partner. Anecdotally, we have found that the XS fits smallish 10-12 year olds who wear size 10 clothing and the XL fits a woman who wears a size 18 clothing. We hope this helps! Available for purchase - no pre-order neccessary - at our Chinese New Year Celebration on Friday, February 16, 2018.